It's been a long road, getting from there to here. It's been a long time, but our time is finally here! 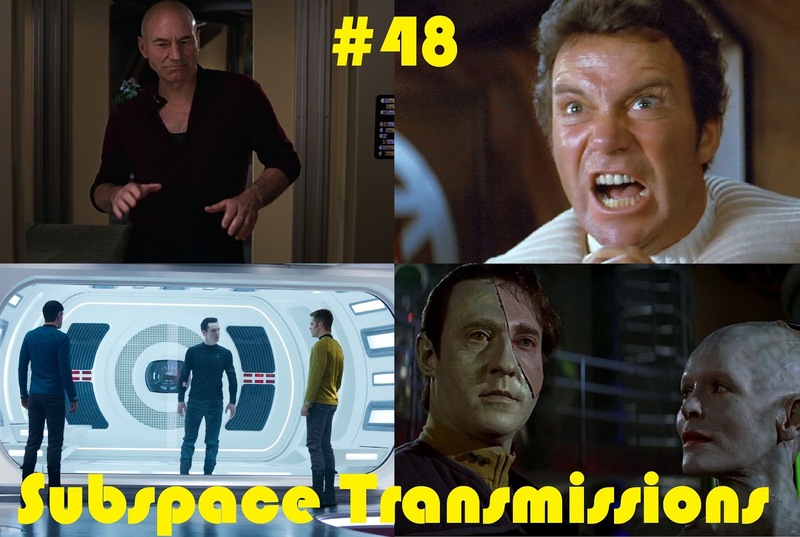 This week hosts Cam Smith and Tyler Orton wrap up their year-long Film Flashback series with the first installment in a two-part celebration of the Trek cinematic universe. Their assignment in this episode? To each provide their own personal rankings for the film canon, and justify their occasionally controversial decisions. There's a lot of debate fodder here, so have fun listening and don't be afraid to respond with your own opinions and numbered lists! If you'd like to spoil yourself, you can read both Cam and Tyler's lists on Letterboxd. Wanna appear on the show? Shoot us a 30 to 60-second audio clip letting us know your STAR TREK MOVIE RANKINGS and you could take the spotlight in an upcoming program! You can also send any other questions, topic ideas or feedback to subspacetransmissionspod@gmail.com! Count the days till next week, y'all!